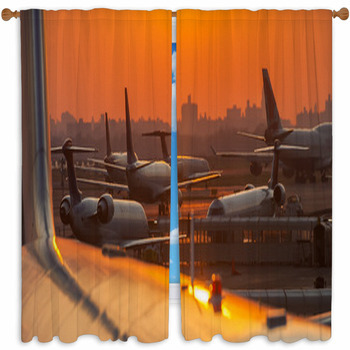 Create a beautiful view in your room with our airplanes window curtains. Watch as planes soar around pink skies and the setting sun. 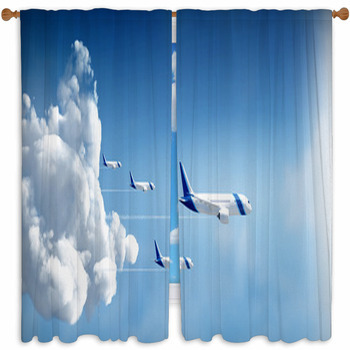 Or, hang drapes with pictures of zooming planes. Perhaps choose one of our prettiest options that features an airplane silhouetted against the sun and clouds. 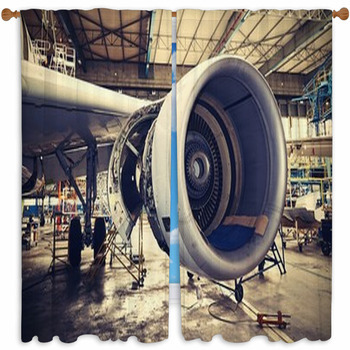 In our designs, colorful airplanes mark their paths in bright patterns that are as intricate and pretty as lights on a runway. 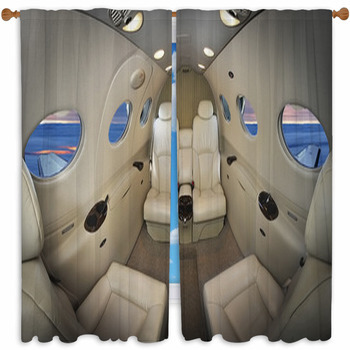 VisionBedding's airplane curtain designs feature every part of the flight process, from airplanes with their staircases down, to airplanes on the runway, to finally airplanes in the sky. 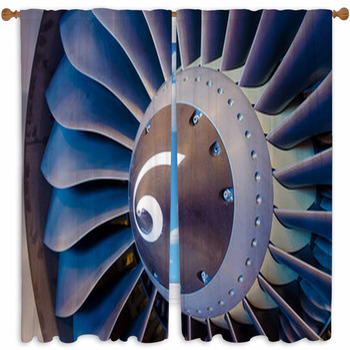 You can even add your own touch to our vast collection of airplanes photographs and images with your own personalized styles. 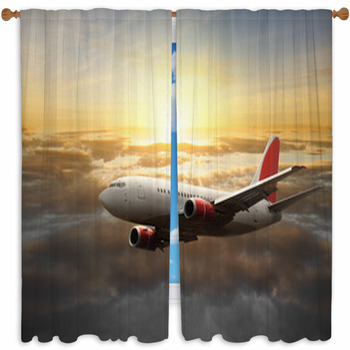 Combine one of our backdrops with a picture of your favorite plane, or use the photo of the plane that took you on vacation to make a custom curtain. We even offer color changes as wild and varied as the sunset itself. 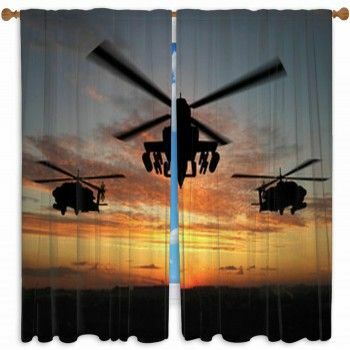 Our curtains come in full blackout like the ones at your window seat. 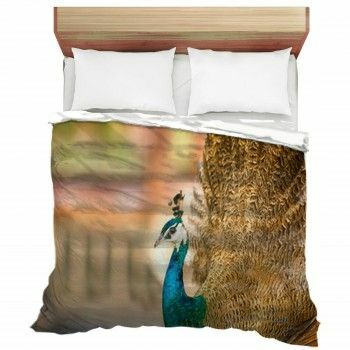 VisionBedding also offers drapes and valances of such breathtaking beauty that you could swear you're flying in the sky. 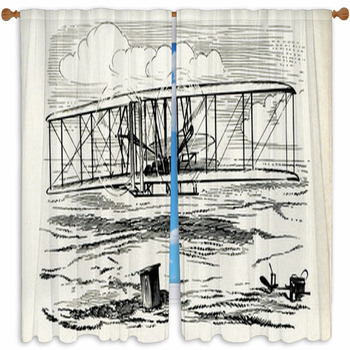 And, with our sizing options, there is no window too big or too small for an airplane theme. 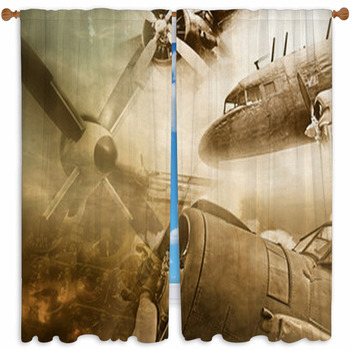 Speaking of themes, curtains allow for any combination of aviation images in your home. 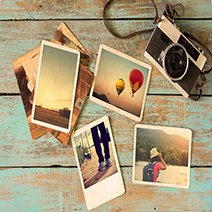 Pick a different plane for each room, or stick with the sunset and clouds behind a plane for the whole house. 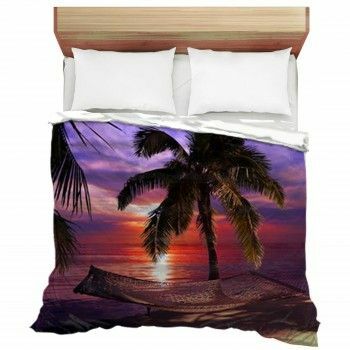 Make your dining room into a cockpit and your bedroom into a runway. 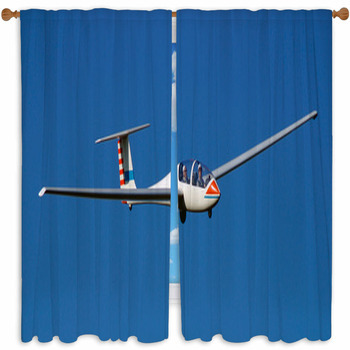 Our airplane theme would be perfect for any child's room. 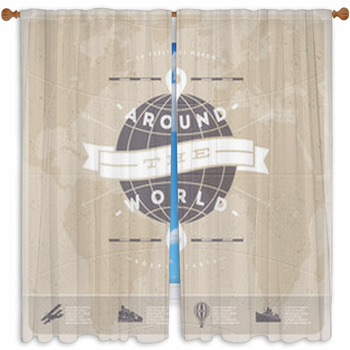 Use our curtains to add a sense of adventure in your child's life and hang valances that remind your child of the great blue yonder. 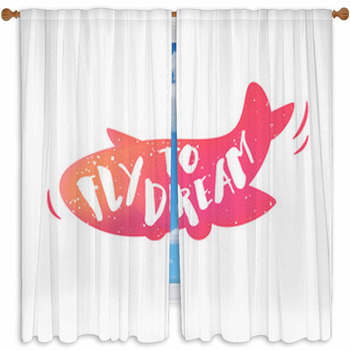 Dress your windows with this airplane window curtains and your child won't have to look far in order to see beautiful airplane views!